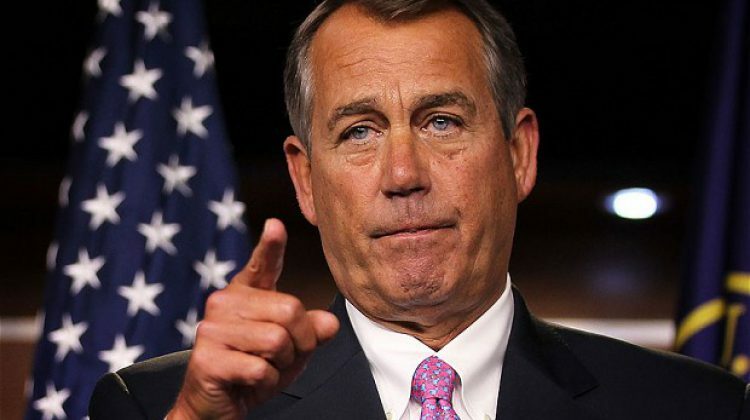 Faciing some primary opposition, John Boehner has decided to finally reach out to the people of OH-8 and hold a townhall, but…. John Boehner must be worried. Tomorrow he is going to hold a townhall meeting, which is shocking to me, one of his constituents. And this isn’t just any townhall meeting, it’s one that comes to you!. What’s that, ‘comes to you?’ Yes, you read that right. This townhall will come to you, because this isn’t a meeting in some school gymnasium or hall. Nope, nothing has pesky as that. Instead John is going to hold a “tele-townhall”. Well ok, a “tele-townhall”. I guess we could take that. I mean it beats nothing. Right? So where do we call into this big event? Welllll….. You don’t call in. Instead, his campaign will call you! My God, how easy is that? John must really be worried about the busy voters here in OH-8! I mean, you don’t have to dress up and drive to some meeting place and you don’t even have to dial a phone! So what is it you got to do? So just give John your name, email and phone number and they may call you to participate! Now that is real democracy!! Welllllllllll…. That would be if democracy meant the only way you could join in a “constituent” meeting was by giving the PAC of your representative all your information so they can harass you into donating and volunteering. But if you’re not interested in that, regardless of party, then John Boehner, the man elected to represent you in the Congress, just doesn’t give a damn. That’s right, you are nothing. Pond scum is better than you, because pond scum can be found on a golf course, which of course a big part of John’s salary that you help pay goes to. Yup, this is the joke of a “representative” we have her in OH-8. And this joke is also the Speaker of the people’s house. I really wish we could get rid of this man.